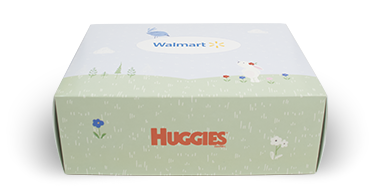 Your Walmart Baby Box will include samples and offers designed for you and your baby. Pay only $5.00 per box for shipping and handling. Each Walmart Baby Box is filled with curated samples according to your baby’s life stage.They determine this stage based on your due date or your baby’s birth date. You will receive your first Walmart Baby Box within two weeks.